Which group of animals evolved first? This problem has become a bone of contention among biologists. An international research team is now confident that the definitive answer is at hand: Sponges appeared before comb jellies. Which came first – the sponges or the comb jellies? 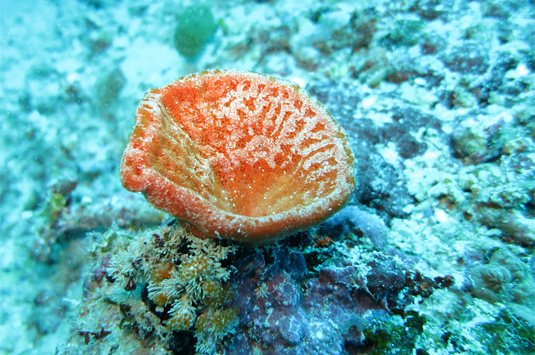 The consensus view among taxonomists has long been that the sponges (Porifera) represent the oldest surviving animal phylum. However, recent studies of their genomes have suggested that this title rightly belongs to the comb jellies (Ctenophora). The issue has become one of the most hotly debated problems in evolutionary biology, because the answer has profound implications for our understanding of the entire history of animal evolution. Several studies of the question in recent years have come to discordant conclusions: Some have supported the conventional model, which favors the sponges, while others pointed to the comb jellies as being at the root of the animal kingdom. Researchers led by Professor Gert Wörheide (Chair of Palaeontology and Geobiology, LMU) and Professor Davide Pisani (Bristol University, UK) have now used a refined method to re-examine the datasets employed in these investigations, and their results are unequivocal: The sponges form the earliest branch on the animals’ family tree. The new study supports the idea that the results which suggested otherwise were based on the use of inadequate – and hence misleading – analytical methods. In order to elucidate the genetic relationships between animal phyla, biologists compare the amino acid sequences of modern species with one another, and construct family trees based on the degree of difference between them. The most likely phylogenomic tree should then faithfully reflect the order in which the different phyla diverged from their common ancestor and from each other. “Two of the important datasets used in the modelling studies which identified the comb jellies as the oldest extant animal group were made up of very heterogeneous data. We have now shown that none of the conventionally used statistical methods is capable of adequately analyzing such datasets,” Wörheide explains. To minimize the compositional heterogeneity of the data, the authors of the new study employed a procedure in which the amino acid sequence data were first divided into groups based on the biochemical functions of the proteins they form, and then subjected to the modelling process. The analysis of these datasets – including those derived from the data that had previously ranked the comb jellies as the older phylum – demonstrated with high statistical confidence that the sponges are in fact the oldest of the animal groups. “Our results confirm the classical assumptions concerning early animal evolution, and should help to put an end to the recent controversy over the origin of multicellular animals,” Wörheide concludes.